What do you mean made at an OEM factory? Same factory Benz has their wheels made? The production line is setup to make wheels for OEM production (Honda and VW are the current OEM contracts). That means it has all the production controls and quality standards that OEM wheels have, from mold cooling time to x ray inspection for microcracks, to 100% balancing check. Can I buy these wheels in 19"x 8.5 for front and 20" X 9.5 for rear ? This is the set up for SL63.. Have a 2013 SL 550.
also, what would be the cost? Unfortunately we can only do 20x8.5 20x9.5 all around on this shipment. I'm curious, is that the factory fitment? 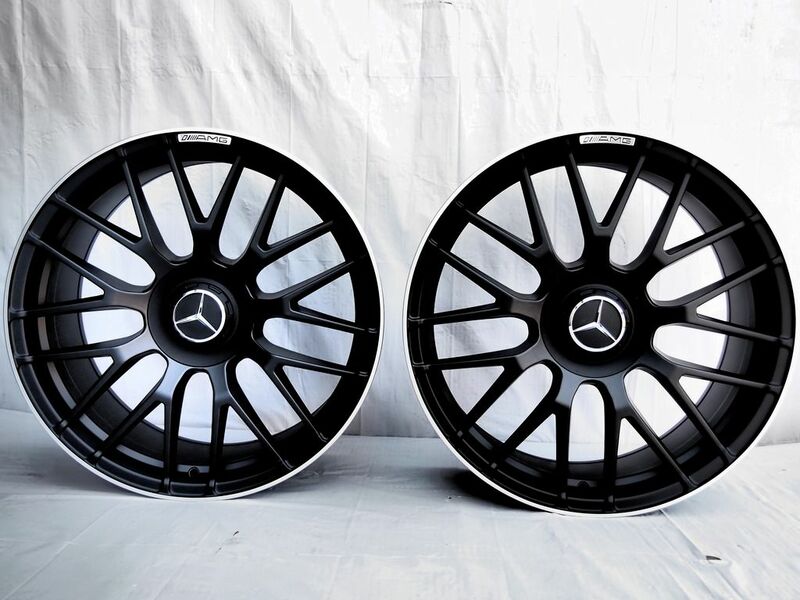 Set price and would these fit 2015 E63S? Been trying to find a set to match my factory 2018 S63. The wheel offset will work perfectly on your 2018 S63. We are down to our last set on this shipment. We will be getting more in 4 weeks. My question was regarding a 2015 E63. I apologize, thank you for clarifying. Your stock offset is 37mm front and 52mm rear, these are 35mm front and 42mm rear, which means the fronts will be 2mm pushed out, an imperceptible amount, and the rears will be pushed out 10mm giving your car a more aggressive stance.. These look legit. 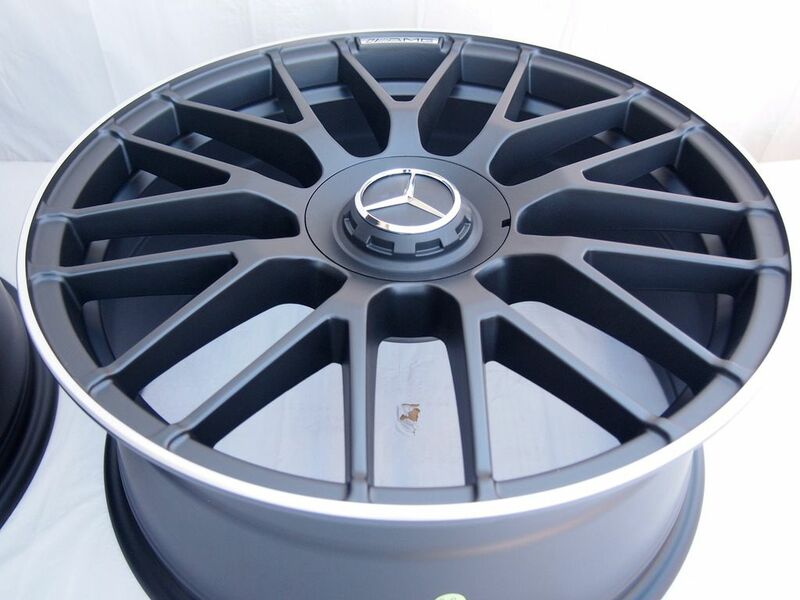 What do you have for w211 E55 in 19" I am lookiing for the C63 507 package stye wheels for my car. Do you have a catalog? Thank you for the interest in our wheels. I will pm you a list of 19s that we have in stock and also coming in our upcoming shipment.Did you want to go with staggered or square all around? 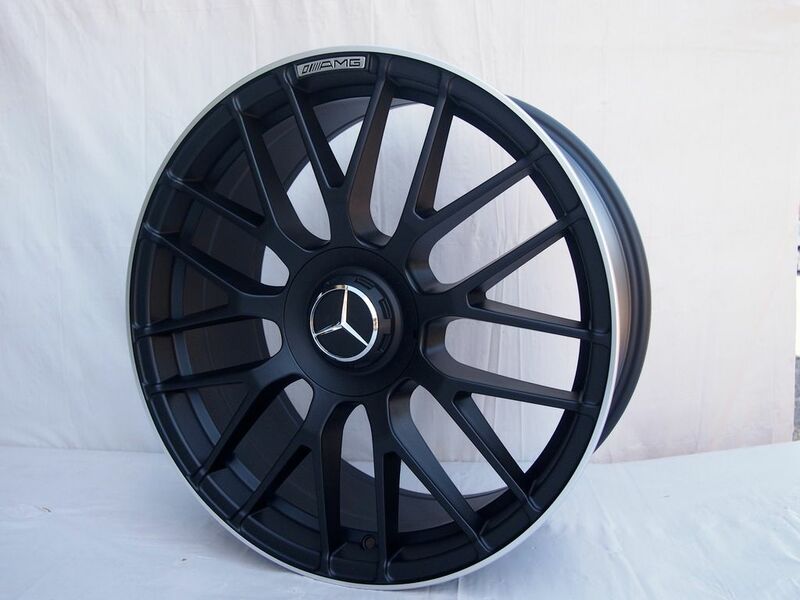 These here are also one of the options available in 19" staggered. will these work on a 2017 c43? Unfortunately we just run out of those but we're getting them back in 4 to 5 weeks. Hey, do you guys offer the black center caps separately? Do you have a 20” Set to fit a 2013 ML550? Any other OEM style wheels? Regarding other options, we do have other designs available, feel free to pm me. 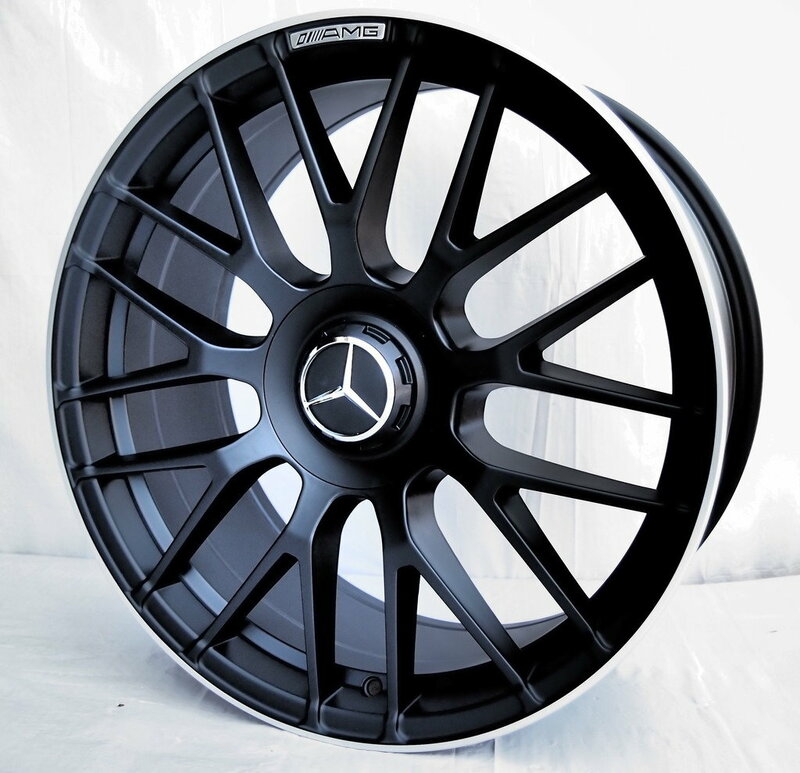 I am interested in these on my 2018 C43. Would you happen to know if they would fit flush or if I would need spacers? We have done a couple of C43s and they both had to use spacers on the front to clear their brakes. After they did they were both super happy with the wheels. Would you happen to recall the sizing of the spacers?